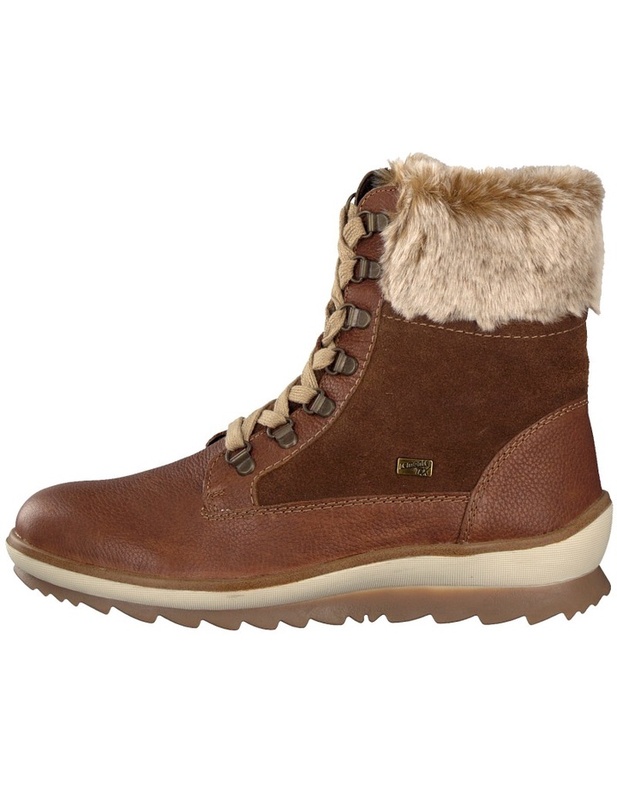 Ladies brown boot from Rieker has a Rieker 'Tex' membrance, providing water resistance. 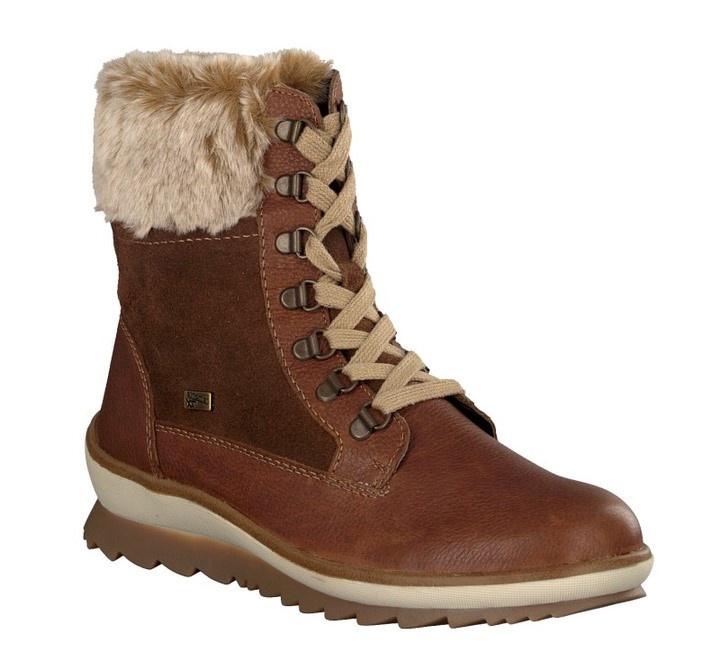 Perfect for the wet weather. 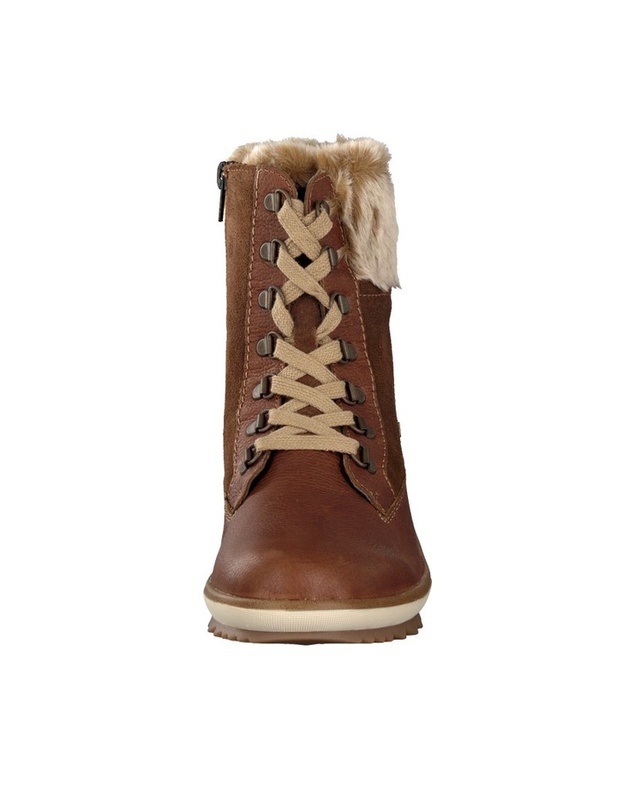 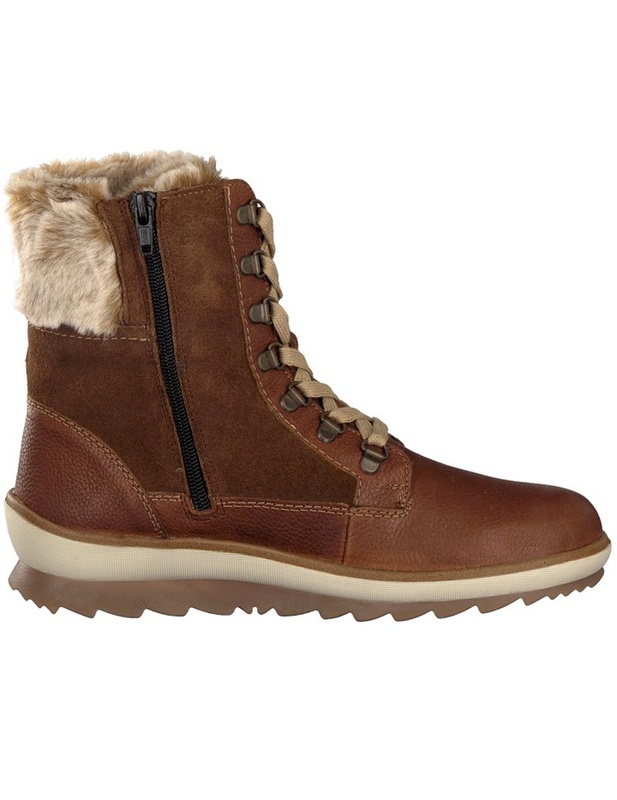 With two tone leather and suede and a cosy fur trim around the ankle this boot really is stylish. 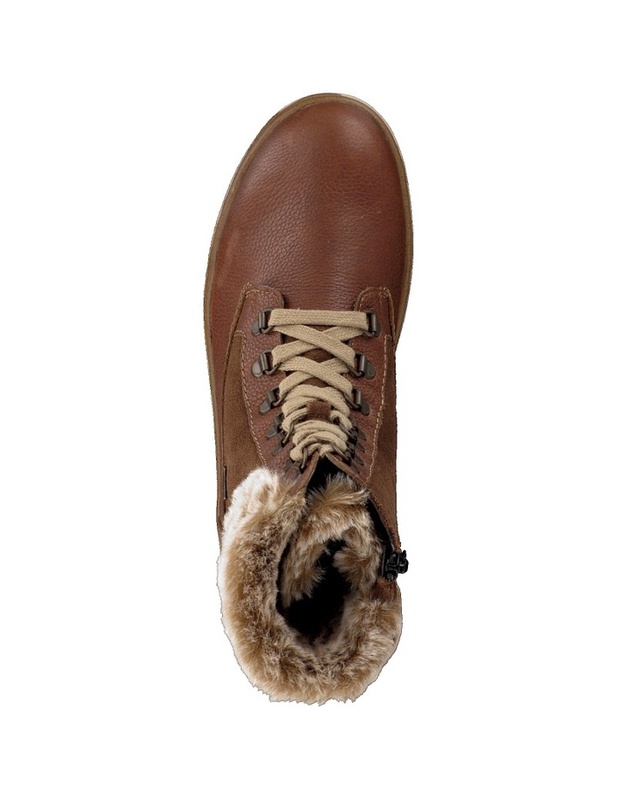 The lace allow you to achieve a comfortable fit while the inside zip makes them easy to get on and off. 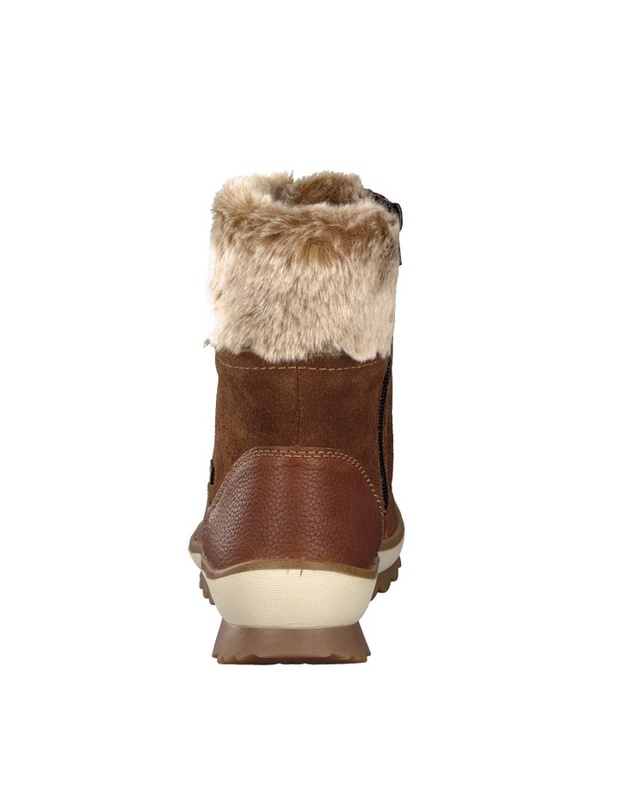 On a rugged two directional sole you will also have great grip.